Charming simplicity! 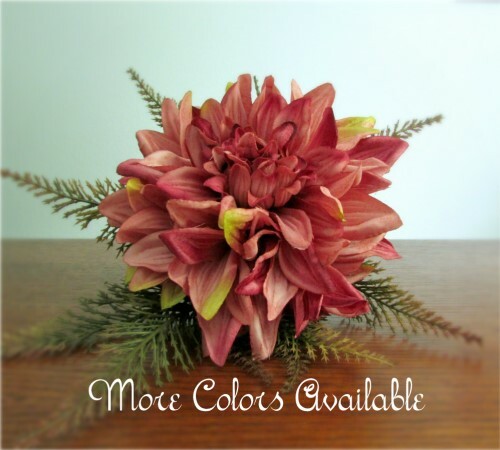 A single dahlia bloom (in your choice of 9 different colors) is the shining star of this bouquet. 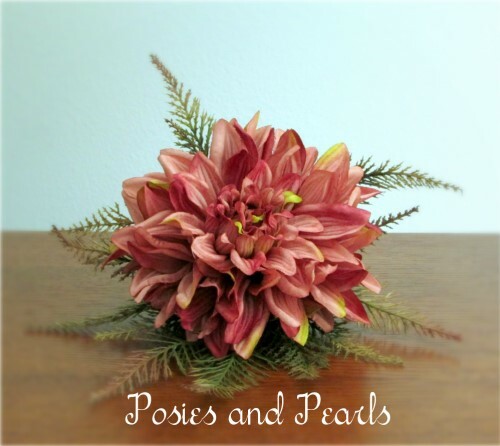 Feathery fern stems surround the bloom with a graceful and airy appeal. 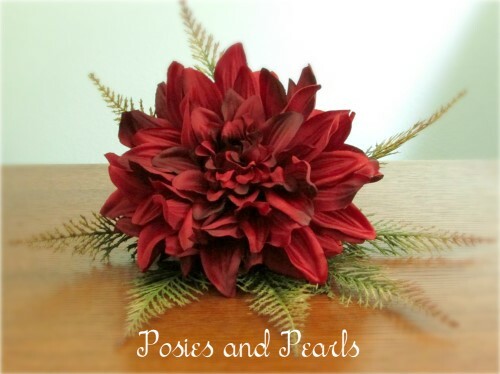 Smooth satin, in a French knotted pattern, covers the stem with polish. 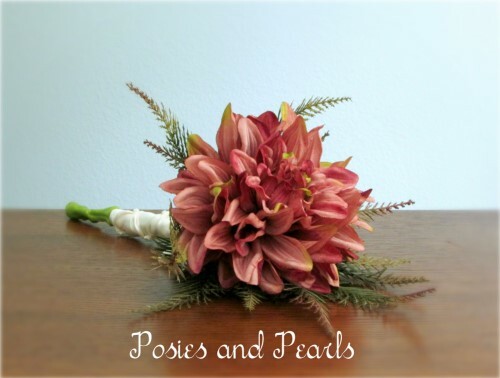 This charming bouquet is an ideal selection for a wedding any time of the year! 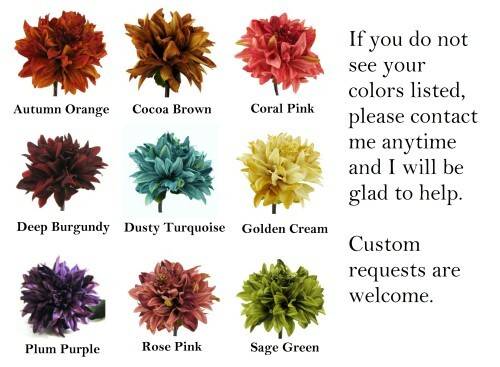 The stem wrap on your bouquet may be altered to any color you like. 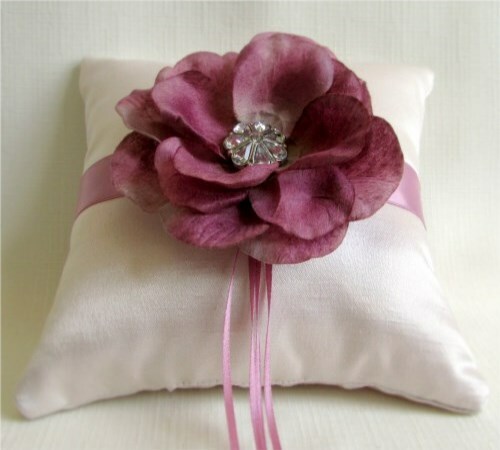 I can add lace or other accents to coordinate with your wedding. Contact me anytime to discuss your options. Although the base of the stems are not covered, be assured that there will be no sharp or rough wired edges to worry about. 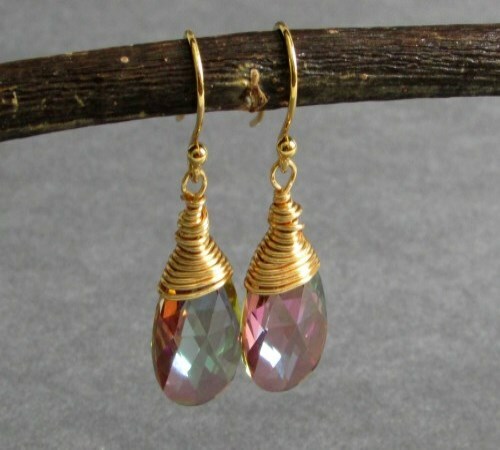 I carefully arrange each stem so that the ends have a smooth finish. 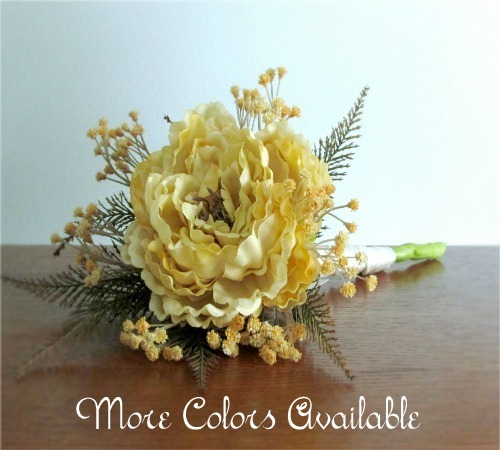 CUSTOM ORDERS: This bouquet may be customized in many ways. 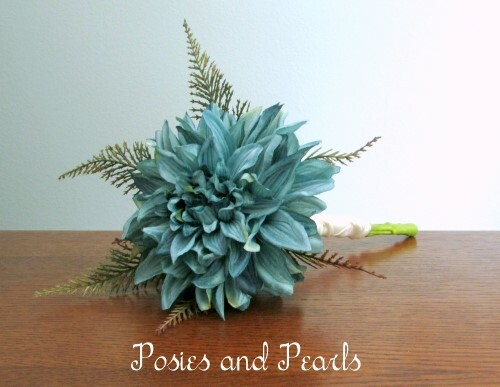 I can also create coordinating pieces for each of your attendants including bridesmaids bouquets, corsages, boutonnieres, hair accessories, ring pillows, and flower girl baskets. Contact me and I will be glad to assist you.